Miami and Florida Keys Painting Contractors TLC Miami faux finish painting South Florida venetian plaster repairs and installation. TLC custom painting and design services, we are industry leaders! We are licensed Florida painting contractors in Miami and the Florida Keys. We are expert faux finish painters, we paint custom murals, do repairs and installations of venetian plasters in Fort Lauderdale, Boca Raton and West Palm Beach. Service areas throughout south Florida, Lauderdale by the Sea, Davie, Hollywood, Weston, Coral Ridge, Southwest Ranches, Pompano Beach, Sunrise, Deerfield Beach, Wilton Manors, Coconut Creek, Plantation, Coconut Grove, more! Luxury home decor and decorative faux finishes in Miami by Florida painting contractors TLC. Custom exterior and interior painting at luxury resorts such as the Ocean Reef Club in Key Largo, painting homes for famous and high profile clients and an endless list of happy customers, TLC Miami painting contractor services are in high demand. In this pic: TLC painting contractors in Miami venetian plaster the ceiling & column they faux painted a faux marble finish! Miami faux finishes by TLC are of superior quality! A family run business with over 20 years of experience! Superior fine detailed quality and timely finished works have always been the foundation of TLC painting and designs with a team of true artists and technicians. Interior and exterior house painting, venetian plasters, plaster repairs, distinctive custom murals, faux finishing, glazing and more are available from TLC Painters in south Florida. In Key Largo painting contractors Jeanne Hall and Eric Hall of TLC installed a polished Italian venetian plaster marble wall finish. Mural artist in Miami, Elliott Hall, Miami mural painter, Fort Lauderdale muralist turns walls into beautiful art! Exterior house painters in Florida Keys, waterproof, surface repairs. We paint at resorts, hotels, restaurants, boat interiors, condos, south Florida homes and more. Stunning custom faux finish painting, unique wall textures, murals and finishes can be yours! Miami painting contractors also licensed in the Florida Keys, Marathon FL, covering all FL Keys, Miami Dade, Miami Beach, Fort Lauderdale, south Florida. TLC is a custom design painting company led by artist, owner Jeanne Hall. The TLC design team of master artists, custom faux finishers and professional painters in south Florida have worked with top home builders in Miami, the Florida Keys, interior designers in south Florida, and some of the best south Florida general contractors. 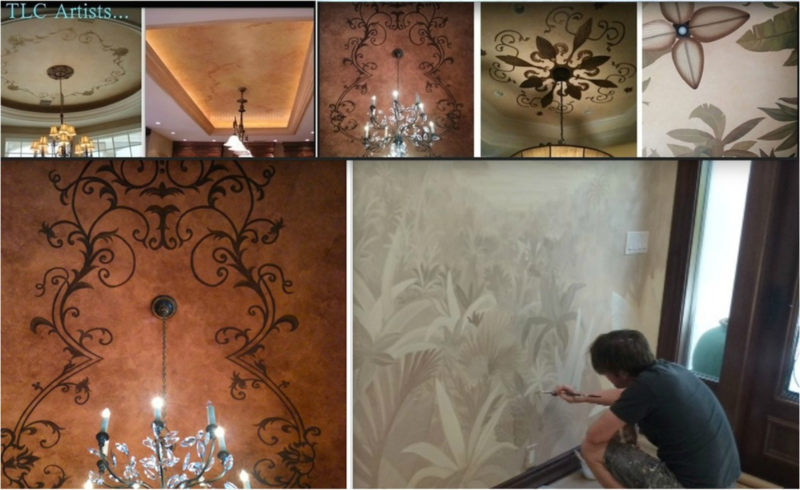 Venetian plaster - Miami mural painters, ceiling and wall murals. TLC Exterior painting contractor in Florida Keys - top quality finishes. Counter tops, tables and bar top creations and designs, bath and kitchen cabinet resurfacing. Florida Keys Interior Designers hire TLC painters for Florida Keys home designs. Painted Furniture for sale - chests, dressers, tables, chairs, couches, shelves. TLC Blog - news from Jeanne Hall, artist, creator, owner TLC Design Studio. We are ﻿Florida Keys Painters﻿﻿﻿ and surface applicators. We faux paint to match wood, granite, marble, any stone! South Florida faux finish and painting services. Key Largo, Marathon and Delray Beach homes are pictured here. We have advanced training in high end surface techniques and we specialize in the fine art of home decor, custom wall textures, faux finishes and home designs, luxury South Florida Painting Contractors services. Faux painters in Fort Lauderdale, faux painting in Miami, faux painters in the Florida Keys making every project a beautiful work of art. Faux painting in Bal Harbour, Doral custom painting, faux finishing luxury homes in Coral Gables, faux painting in Coconut Grove, custom decor in Surfside, venetian plastering in Sunny Isles, fine decorative painting for Miami Beach luxury condos. 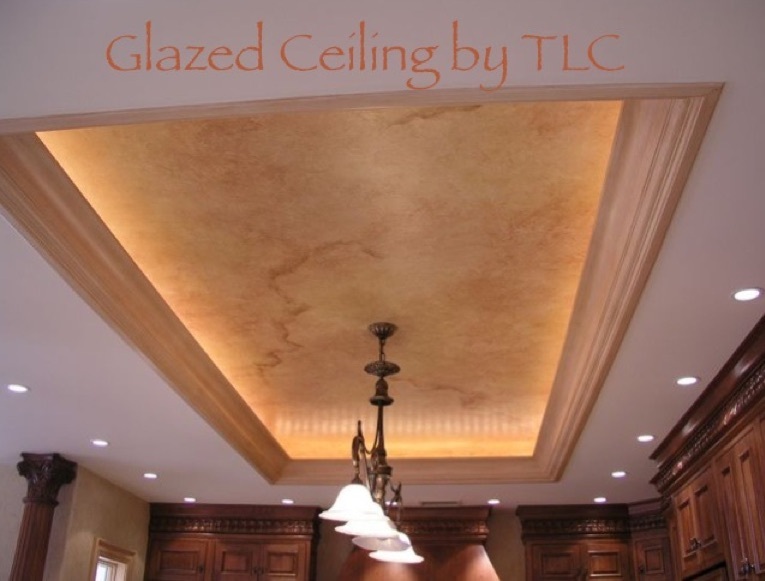 Fully licensed and insured, TLC is a professional architectural and decorative painting company in south Florida highly skilled in various surface techniques and advanced applications. Painting for designers, contractors, for homeowners, resorts, restaurants, hotels and business establishments. Faux Effects, Modern Masters, NOVA color paints, Chalk Paints by Annie Sloan... all top product lines. A residential house painting company in Florida, we have painting companies in Miami, Fort Lauderdale and Marathon Key. FL painting services, faux painting in South Florida, mural artists. Professional painters who refinish kitchen cabinetry, custom wall glazing, sponging, ragging, stencils, faux wood, faux marble, trompe l'oeil, more! TLC Interiors and Exteriors, waterproofing, surface crack repairs, pressure washing, exterior venetian plastering, faux finishing for properties in south Florida.